Statin drugs (simvastatin for example) are commonly used to treat high cholesterol and have many known side effects... but here's another. Statins are now believed to potentially cause a chronic dry cough according to a recent report! This chronic cough side effect is common in other types of medications such as ACE-Inhibitors (lisinopril) and angiotensin receptor blockers (losartan) to treat high blood pressure. Statins were not previously known to cause a chronic dry cough. Oh no! 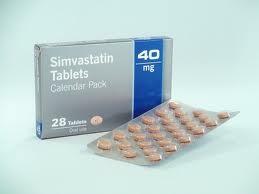 I've read so many side effects about statins but why FDA doesn't do something about this drug. These drugs need further study to prove that it is effective or try to find why it caused that much side effects.